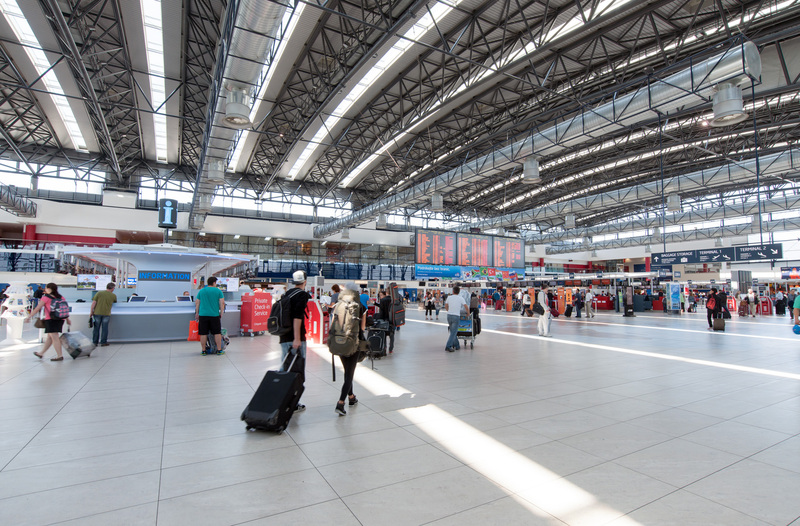 The largest airport in the Czech Republic, it handles nearly 13 million passengers yearly. Sixty airlines connect Prague directly to over 150 destinations around the world. The first airplane landed at Ruzyně on April 5, 1937. Thanks to the gradual modernisation of the check-in facilities, the runways, and the technical facilities as well as due to the development of new technologies and services, the airport was recognised in 2011 as the most actively developing airport in the world. 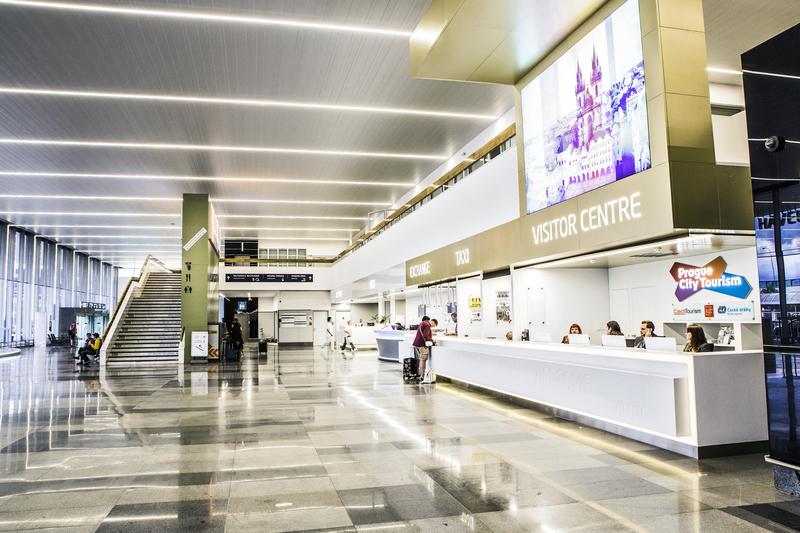 Prague international airport operates two terminals. 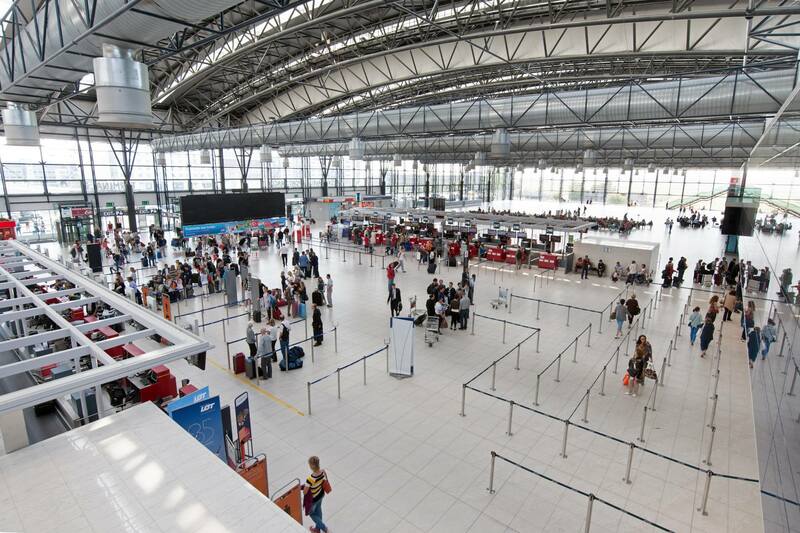 Terminal 1 is designated for departures to countries outside of the Schengen Area while Terminal 2 handles departures to the Schengen Area member states. Smoking is not allowed inside the airport. Next to the entrances, you can find 14 areas where smoking is permitted. Viewing terrace - one of the terraces is located in the public area of the Terminal 2 Departure Hall beside the entrance to the connecting building between Terminals 1 and 2, another one is in the transit area of Terminal 1, with entrance from the Praha restaurant.